Hey everyone! Happy Sunday! Forgive me the unusual publishing time, but I’ve been busy celebrating! You see, today’s my birthday. Happy Birthday to me! It seems a lot of people shy away from celebrating their birthday as they get older – but I think you should celebrate it, whatever your age! You’re only as old as you feel – and personally, I don’t feel my age, and I don’t intend to either! I’ve had a wonderful day, filled with doing plenty of the things that I love – including making myself a birthday card! It’s become a bit of a tradition now – but as a designer of cards, what birthday would be complete without a birthday card of my own? If you’ve visited me before, you know I take cake very seriously. And so, along with actual birthday cake, I just had to finish some cute cupcakes on my card this year! These are from the awesome WPlus9 Sweets And Treats set, and they are so deliciously designed! The card base is stamped with Neat & Tangled’s Time Warp stamp, and heat embossed with sparkly gold embossing powder. I blended some Distress Ink in a halo so that the card base wasn’t so stark and so it complimented the colours on the cupcakes. As for those numbers? I pulled out an old-but-still-fun product – shrink plastic! I die cut the numbers using dies from Papertrey Ink, added the detail with a white Prismacolor pencil and a gold Sharpie, then heated them up to shrink ’em down. 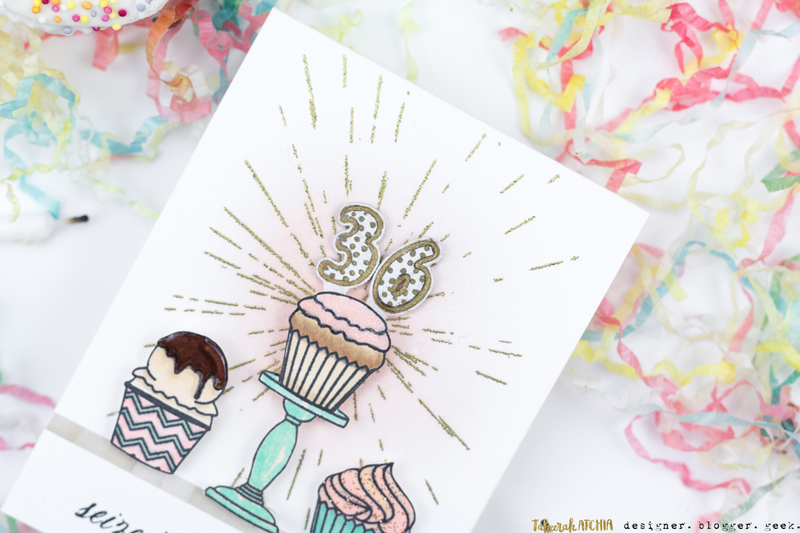 I love this little brainwave – and it’s the perfect way to shout about my age! I’m really looking forward to making this year my best one yet! It may be my birthday – but I’m giving you the chance to have a present from me! 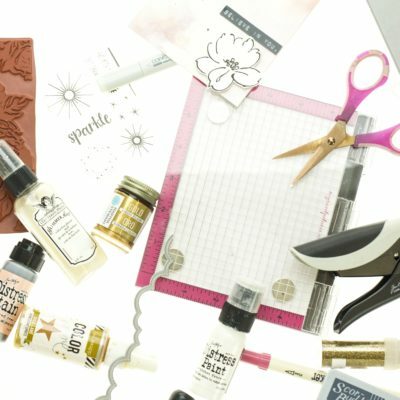 I’m giving away a $25 gift certificate to an online crafting store of your choice! To enter please leave me a comment wishing me a Happy Birthday and give me a compliment. This is very specific, so please take the time to follow the rules as other comments won’t count! *smile*. I’ll leave this giveaway open until 23:59EST on Sunday 15th January and will announce the winner on the 16th, all being well. I’ll also be giving hosting another giveaway just for Instagram followers – so make sure you follow me on there and enter! Good luck – and thanks for stopping by! Happy Birthday…. 36 is such a GREAT age. Keep smiling! Happy Happy Birthday … and any woman who continues to celebrate her birthday with gusto (and cake) is pretty darn amazing in my book. Happy Birthday! Great idea to make yourself a card. I like the sparkle. I want to thank you and compliment you on a great job of organizing the Advent Calendar Extravaganza. It keeps getting better each year and I enjoy the creativity. Happy birthday! I like your style. I’ve never met a cake I didn’t love…with the exception of fruitcake. Happy Birthday Taheerah! I celebrate my birthday week! Yep, not just one day but a whole week! It drives my husband and daughter nuts, which is an added bonus! This year I might celebrare the entire month! Thanks for the inspiration and for the opportunity to win! Taheerah, Happy Birthday wishes to the creative, colorful, stylish young woman you are!! Here’s to a terrific new trip around the sun!! Happy, happy birthday to you!! Hope it’s as wonderful as you are! 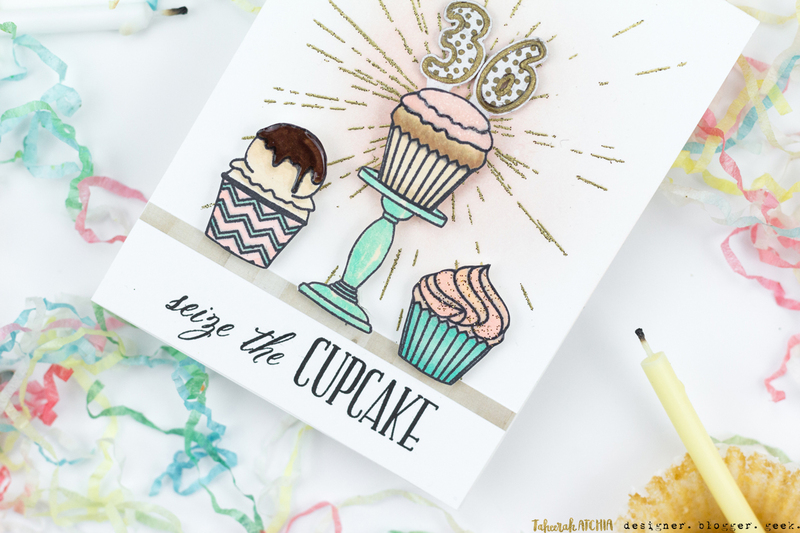 Great card, cake, cupcake or cake pops I’m all for it!! Happy Birthday. Love your card designs. Enjoyed your 25 day extravaganza. Happy Birthday, Taheerah!!! Hoping you are having a fantastic birthday weekend. 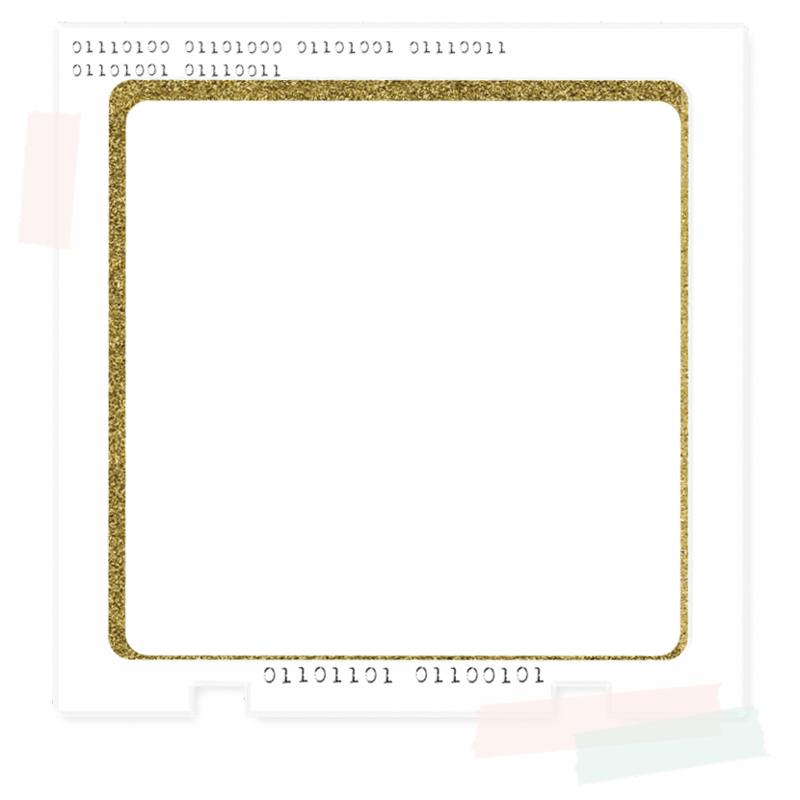 Your card is absolutely stunning! HAPPY BIRTHDAY TAHEERA, To the woman who is uber creative and shows such passion for life I hope this year is fantastic for you! Happy Birthday Taheerah – hope you had a great day! Your card is unique as always and that’s what I love about your designs! You have such a wonderful sense of style! I hope you have a Fantastic Birthday ? darling ! 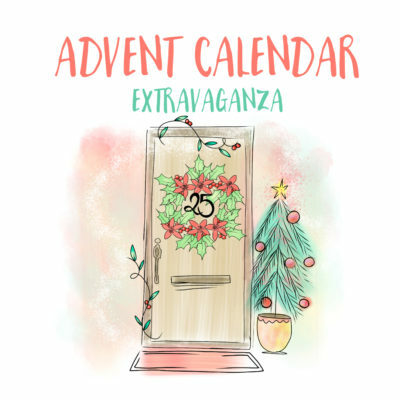 Did I mention you are the creator of the WORLDS Best Blog Hop for Advent ! Hi, Happy Birthday sincerely and truly. I thinking your cards and your generosity are amazing. The amount of work you did for the Season’s giving was mind-boggling and generous, with no benefit to you, and I loved seeing your cards all December, I think I pinned all of them. All the best to you in 2017!!! Happy Birthday to you!?? I have been following you for a while now, and you put together the best color combinations! I was extra surprised to find your message since it is a Sunday…but what a great reason to celebrate! Have an extra special day!! Happy Happy Happy Birthday to you, Taheera! Enjoy your special day and eat more cupcakes! Happy Birthday and here’s to many more happy days. You always brighten my day with your upbeat and sparkling personality which shines through your posts–truly. Happy Birthday Taheerah! I hope you had a wonderful day. You are so creative and very talented! 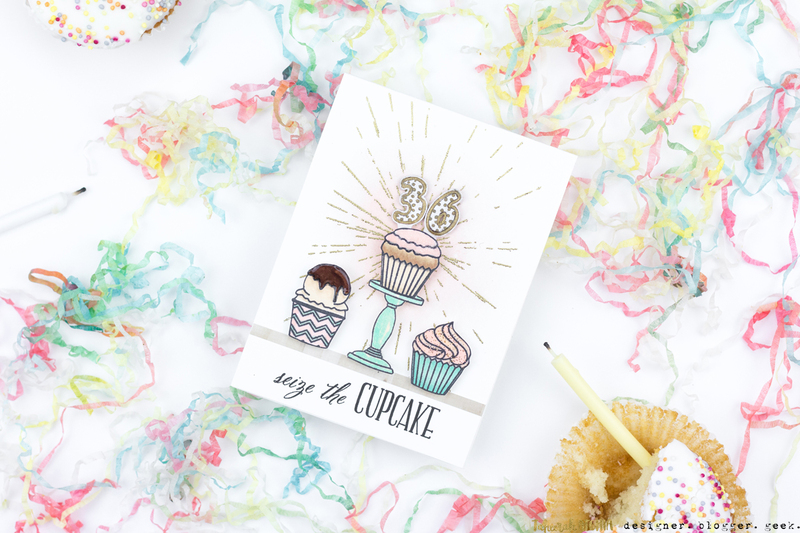 I love your cupcake Birthday card! So cute and adorable! Happy Birthday, Taheerah – many happy returns on your 36th year. Thanks for sharing your Birthday card with us LOl. You always know how to make me smile. Beautiful card! I love the cupcakes and your pretty coloring! Happy Birthday to you! easy to come up with a compliment… you are so talented! 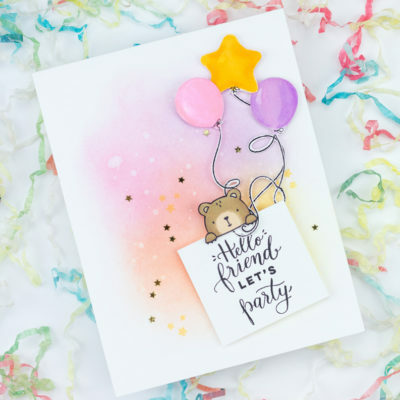 Love the variety of cards you make… from fun to elegant! Always a delight to see your creations! 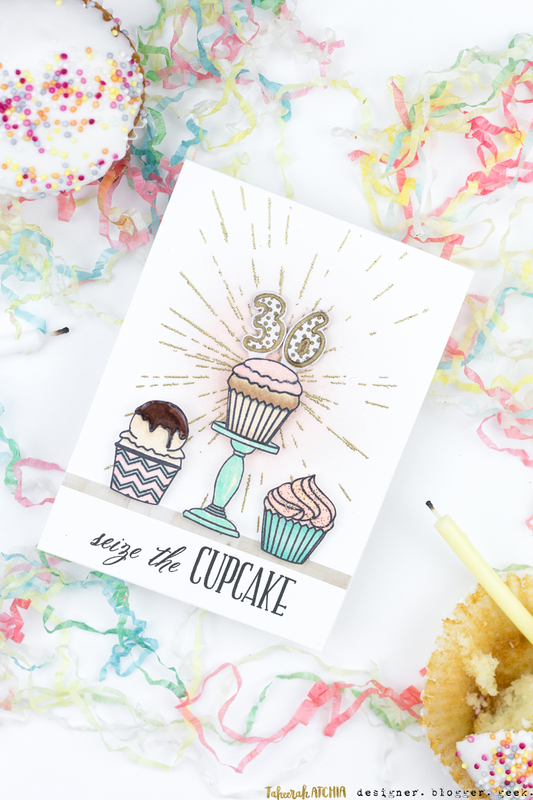 Such a delish card, I love cupcakes! Happy Happy Birthday! I hope you’re having a great Birthday week 🙂 You are such an inspiration and I’m so thankful to have been able to meet up with you in person last year!! Thanks for our chats? Taheerah, happy birthday. I think you are very wise to celebrate every birthday, no matter your age. although … 36 is a perfect age to be. Adorable card! A very happy birthday to you! Thank you for being so generous! I only recently found you (your advent event) but I’m already blown away at how wonderful your cards are and how much effort you’ve put into your events! Thanks for sharing your time and effort! Happy, happy birthday! So fun and creative to use shrink plastic for the numbers. Happy Birthday Taheerah! And congratulations on not being afraid of your birthday. It is, after all, just a number. I think you’ve done a fantastic job of living the person you are and not the number that shows on your birth certificate or drivers license. So my compliment is to you, the person, and how well you live your life. Your car is, of course, very stunning. I love the glow of pink without being blown away by little girl pink all over the card. The cupcakes look good enough to take a bite. But I hope you continue to live your life as you see fit without worrying about numbers. Happy Birthday and have a wonderful, exciting, creative life! I wish you the happiest of birthdays filled with fun and laughter. I enjoy your blog, you are so creative. Happy 36th Birthday Taheerah!? Love your card and your love of cakes. You do an amazing job coloring and it inspires me to keep practicing. Thanks for sharing on your birthday, hope it was wonderful. WOW! Happy 36th birthday! You are sooo creative to have used the shrink plastic for the numbers on top the cupcake. Anyone who’s favorite colors are pink, mint and gold are A-OK in my Card World for they are my favorite colors as well! Happy 36! I love your cards, you are so talented. 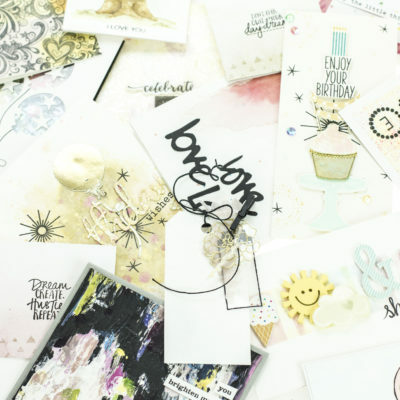 I think that it is awesome that you make yourself a birthday card each year, celebrate you! You inspire me! Awesome card made by the bestest designer in the world!! HAPPY BIRTHDAY following YOU? Wow! Happy birthday you 36 yr old. That was a good age when I was there. Am a new subscriber and am always fascinated by your choice of stamps and your coloring. Thanks for the inspiration daily. Have a great day! Happy 36! I love your card. I am also so great full for all the coordination and inspiration you provide? Thank you so very much! Happy Birthday! What I would not give to be 36 again. That ship has sailed around the world a few times by now I think. I adore your Advent Calendar Hop. It was a great distraction for me this Christmas Season. Hard on my wallet tho…. to many things I needed! 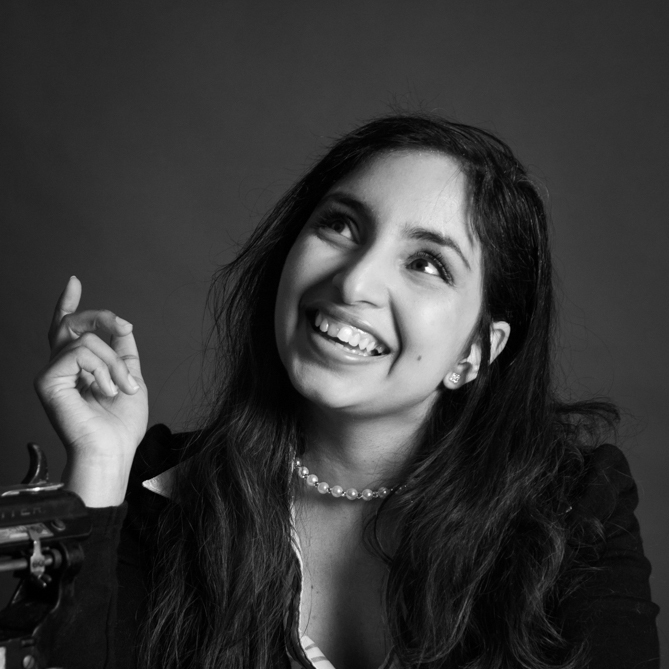 Your blog hop is one of my favorites to reason seem like a really fun person! Enjoy 36 the thirties were great for me! Happy Birthday!!!! You have an amazing talent and thank you for sharing with us! Of course I’ll compliment you! You have an amazing blog and create so many beautiful projects! Thanks for sharing your creativity and Happy Birthday! Happy Birthday. I hope your day was filled with lots of happiness, family and lots of cake. Wishes for a prosperous 2017 are sent your way. This is your day so you should be able to kick up your heels and do whatever makes your happy. Enjoy. Happy birthday hope you had a fun day. Love your birthday card since we love any kind of cake. Oh Happy, happy birthday to you!! So glad you’ve been having a wonderful day. I was shocked to see “36” on your cupcake!! You look like you’re 10 years younger. No lie. And your card, oh my, it looks delicious!! Happy birthday to you! You did a fantastic job coloring on this card. My favorite color combination of pink and aqua! Happy Birthday Taheerah! What a fabulous idea making your own card! You make wonderfully happy cards! I love getting a notice from you because I know it’s going to be a fun blog entry. Happy, happy birthday! I hope you had a truly wonderful day. I am so glad I found your blog this holiday season because I love the way you think outside the box when creating with your tools and supplies. 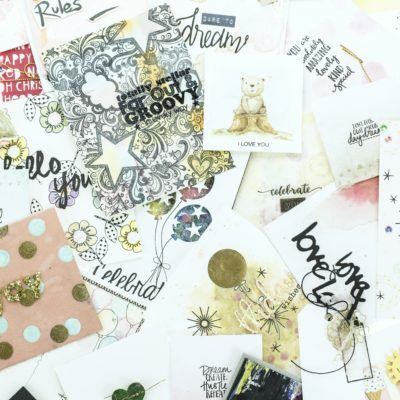 Your designs are always inspiring and make me want to run to my stamping desk and dig in! Shrink plastic number candles was just pure genius…Love, love, love! Happy Birthday, Taheerah!! I can’t believe you’re only 36!!! You definitely look much younger! (I said only 36 because I’m ONLY 65…LOL.) I follow you all the time and loved the Advent Calendar posts…so much fun. Keep up the good work and really, really ENJOY your special day! Happy Birthday to an awesome designer. I’ve been following your blog for two years now and have enjoyed seeing everything you create. I really appreciate the many hours you put in planning and running the 25 days extravaganza …. it’s so much fun to see all the goodness. Thank you! Happy Birthday Taheerah! I agree every milestone should be celebrated. our birthdays are a wonderful time to do just that. Thank you for sharing your how you made the lovely birthday card. This is a very pretty card! I love the soft pastels and the design of the card. Here is wishing you a happy birthday and I love your perseverance in crafting, I followed your 25 days event this time and I loved that there were extra cards even after that. I think its great that you have the versatility and skill to showcase so many different products! Happy Birthday Taheerah ! I love the card – sparkly and shiny 🙂 great idea for the shrinky dink- esque numbers.. As far as complements go, you combine science nerd, cardmaker and total geek and that is always awesome. I hope your year is everything you want it to be.